An experimental vaccine may serve as an alternative to oral blood thinners in helping to reduce the risk of clotting and subsequent strokes for people who previously suffered an ischemic stroke (those caused by a blood clot), according to new findings published in Hypertension, a journal of the American Heart Association, reports a press release from the organization. Japanese researchers tested the experimental vaccine, called S100A9, on mice. The vaccine protected the rodents from the formation of new blood clots for more than two months and worked as well as the oral blood thinner clopidogrel in a major artery. In addition, the vaccine didn’t increase the risk of bleeding or cause an autoimmune response in the mice, which means the immune system of the animals didn’t view it as an invader that needed to be attacked and removed. Hironori Nakagami, MD, PhD, a professor at Osaka University in Japan, and the study’s coauthor, said these results suggested that S100A9 could save a lot of lives in addition to preventing secondary strokes and potential heart attacks. 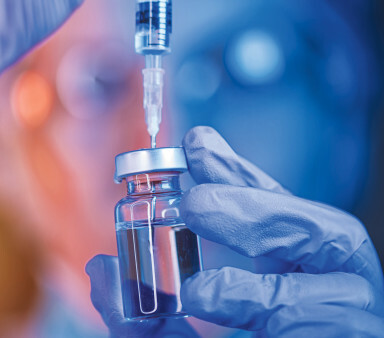 Nakagami stressed that there are differences between how the vaccine will be recognized by the immune systems in mice and humans, but he believes those problems can be overcome. Researchers hope to start clinical trials between five and 10 years from now.